The Temporary Skill Shortage (TSS) (subclass 482) visa enables employers to address labour shortages by bringing in genuinely skilled workers where they cannot source an appropriately skilled Australian. There are 3 stages to the visa. Firstly, the company would be set up as a Sponsor, then a nomination would be lodged and finally the visa application itself submitted. There are 3 streams to the visa (Short-term, Medium-term and Labour Agreement streams). Length of stay - One to four years depending on your nominated occupation, the visa stream and your circumstances. Capacity for only one onshore visa renewal under the Short-Term stream. ​Capacity for visa renewal onshore and a permanent residence pathway after three years under the Medium-Term stream. Actual processing times may vary depending on a range of factors. 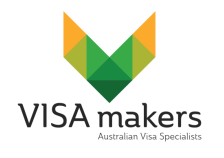 All of Australia is eligible for the Temporary Skills Shortage 482 visa. Applicants can be onshore or offshore. You are permitted to live and work anywhere in Australia. The applicant has worked in the nominated occupation or a related field for at least 2 years. English requirements vary depending on the visa stream. Skills assessments are required for certain trade occupations and countries. (exemptions apply). All applicants can be requested to obtain a skills assessment though if requested by Immigration. The applicant’s intention to perform the nominated occupation is genuine and the position associated with the nominated occupation is genuine. If mandatory for the occupation hold the relevant licensing, registration or professional membership. e.g Nurses, teachers. To be actively and lawfully operating a business in Australia. Meeting the training benchmark requirements to train Australian workers. Note: Skilling Australian Fund (SAF) to be introduced soon! Nominating an occupation on the 'Occupation List' for the TSS 482 visa. Proving there is a ‘genuine need’ for the position to be nominated within the business. Nominating the employee to work in the position for a full time position. Meeting the Labour Market Testing (LMT) requirements. Meeting the ‘Annual Market Salary Rate (AMSR)​’ criteria and the 'guaranteed annual earnings' are above $53,900 per year.